How will the end of the age play out? What happens during Daniel's 70th Week? We've spent an inordinate amount of time pointing to the contemporary signs showing that Jesus' appearing and subsequent return are nigh at hand, but not much effort discussing what actually happens after the Church is gone. I've had a number of people ask me what my thoughts are on the subject and in light of how close we now are to these events I thought it would be prudent to share my current understanding. This article is essentially a chronological overview of Daniel's 70th Week with a bit of precursor, as well (as I currently understand it). I won't be laying out all the reasons I believe things happen as they do, but just how I generally think things will play out. I hope this will be enlightening, but understand that I approach this with humility. I don't have it all figured out and I don't have much of an ear for those who think they do because the primary purpose of prophecy is not to allow us now to predict every future detail, but to strengthen the faith of those who see prophecy fulfilled in real time (Mt. 24:33; Jn. 14:29; 1 Cor. 14:3). That's why the Revelation 12 Sign was such an important fulfillment—we saw the sign with our own eyes and realized God's Word is [literally] true. The prophecies for the last of the last days are playing out... right now. 1. Prophecy is Messianic in nature. That is to say, the Old and New Testaments are replete with prophecies about future events, but these prophecies all revolve around the person and purpose of Jesus Christ (Jn. 5:39–40). Jesus Himself indicated that the Law of Moses (first five books of the Bible), the Psalms, and the Prophets were all written about Him and would be fulfilled by Him (Lk. 24:44). The Bible's first and last prophecies were written about Christ (Gen. 3:15 and Rev. 22:20, respectively). As a matter of fact, the entire story is about Him—He created the world, the world fell into ruin, He stepped into His creation to fix it. Whenever students of Bible prophecy lose sight of this fact, literalism falls by the wayside and one's own interpretation of things begins to creep in. Historicism and/or preterism are often the result—trying to make a square peg fit into a round hole. A. This symbol foretold the redemption of mankind from the very beginning (Gen. 3:15–16) and was the very first prophecy. B. This symbol connects with the redemption of all of creation via the resurrection of the righteous dead (Is. 26:17–21; Rom. 8:20–22). C. This symbol became literal truth when the Redeemer came to the earth the first time, born as the future Head of a mystical, spiritual body (Lk. 2:6–14; Col. 1:18). D. This symbol is the greatest single sign given in the Book of Revelation (Rev. 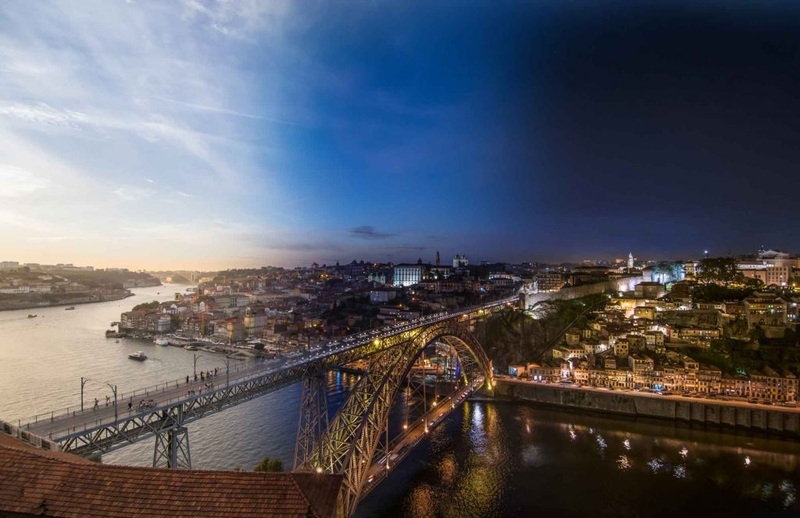 12:1–2)—a literal astronomical alignment in the sky that is now history. E. This symbol foretells the correct order of end-time events when the rest of the male child is delivered and joined to the Head in Heaven before the woman goes into labor (Is. 66:7–9; Rev. 12:5). F. This symbol explains who Israel is in relation to the male child and what Israel must soon endure (Rev. 12:5–6; 13–14). G. This symbol is a warning to the world and to Israel about how horrible the Day of the LORD will be (Jer. 30:4–7; 49:23–24; Mt. 24:8; 1 Thess. 5:3). While I've believed in a pre-tribulational rapture and Revelation's seven seals opening after the rapture (for many reasons) for a number of years now, the sign of a woman in labor has sealed the deal for me. It was the "icing on the cake" so-to-speak. The corporate male child escapes to Heaven before the woman goes into labor (Is. 66:7–9) and the woman's labor pains are described in Jesus' Olivet Discourse (Mt. 24; see v. 8). The Olivet Discourse chronologically parallels the first six seals of Revelation. Side note: While I disagree with the preterists who only see the lead up to 70 AD in Matthew 24, I do agree that there are uncanny parallels. I believe that the passage, in keeping with a literal hermeneutic, is first and foremost a warning about the end of the age and Christ's second coming, but that future time was foreshadowed by the lead up to 70 AD. In a sense, a dual fulfillment. 3. The Tribulation is a seven-year period of time—not 3.5 years, 10 years, 15 years, etc. For starters, Daniel 9 makes this crystal clear. A covenant will be made or confirmed for a period of seven years (Dan. 9:27), which is the very last span of time in the present age (Dan. 9:24). The 'He' in v. 27 is not Christ and the arguments I've seen presented suggesting otherwise don't hold water. First, Christ never made a seven year covenant (nor will He in the future). His covenant is everlasting—not only with the Church, but also with Israel. Second, Christ was not cut off halfway through a seven year period. He was cut off after the first 69 weeks of years (Dan. 9:25–26). Strangely, some argue that years aren't in view here, but only actual weeks of days. However, the Hebrew word here for "weeks" can indeed refer to seven-year periods of time (both Jewish and Christian scholars agree that "weeks" in Daniel 9 are seven-year periods). The word means a "period of seven" and what the time unit is in that seven is determined by context and some other syntactical considerations. For example, the same word is used in Genesis 29:27–28 referring to the seven-year period during which Jacob lived with Leah before marrying Rachel. In any case, Daniel 9:27 ends the debate by pinpointing the ultimate fulfillment of the Abomination of Desolation to the middle of the final week of years. This solidifies the view that this is an actual seven-year period since Daniel 12:11–12 plainly tells us that roughly 3.5 years remain after the Abomination of Desolation (c.f. Dan. 12:7; Rev. 12:6; 14). Lastly, this seven-year period directly connects to point #2 and the woman in labor—Scripture's prophetic key. Leviticus 12:2 tells us that a woman who gives birth to a male child is unclean for a period of seven days. Similarly, the Church, which was conceived in Israel by the Holy Spirit on the day of Pentecost some 2,000 years ago, will be delivered and then the woman, Israel, will be unclean for seven years—the time of her birth pangs and Jacob's Trouble (Jer. 30:4–7; Is. 66:7–9; Mt. 24:8). 4. Israel is at the center of God's plans. The single clearest sign indicating that we are near the end of the age is the nation of Israel. Hundreds of prophecies indicate that God's future plans on earth involve Israel, Jerusalem, and the Jews. It was through Israel and the Jews that God gave us the Law and our Redeemer, Christ. It was in Israel that the Church was conceived. It is from Israel that Christ will reign on the throne of David, ruling over all the nations of the earth. Now the second regathering of Israel, which occurred in the early 20th century, culminating with the nation's independence in May 1948, was no doubt a gathering in unbelief. However, it was still God's sovereign effort that caused it to happen in preparation for Christ's return. A remnant in unbelieving Israel will begin believing sometime during the Tribulation. Consider for a moment how much of Scripture is about Israel. Aside from Christ Himself, nothing is more central to the Bible's narrative than the country of Israel and the city of Jerusalem. With that in mind, consider the fact that even in Jesus' day there was no Israel. The Jews, Benjaminites, and a small remnant from the other tribes were present in the land, but the entire area was a province of Rome. Scholars often cite 70 AD as the end of Israel, but it was really long before that. The nation-state of Israel ceased to exist for roughly 2,670 years—from the final Assyrian conquest in 722 BC to the country's revival in 1948 AD. The Hasmonean Kingdom was a briefly independent pseudo-Israel in the two centuries before Christ, but even that wasn't "Israel." It was only truly independent for about 50 years, becoming a vassal state of Rome in 63 BC. Even if you could consider the Hasmonean Kingdom "Israel" it would still be over two millennia before the country reemerged (2,010 years, to be precise). Just as significantly, the Gentiles controlled Jerusalem for 2,552 or 2,553 years (from 587 or 586 BC to 1967 AD), aside from the brief Hasmonean rule, and "trampled it underfoot" for 1,897 years (70 AD to 1967 AD). Not only has the nation of Israel come back into existence (1948), but Jerusalem is once again controlled by the Jews (1967). This generation has seen a prophetic turning point like no other—its the Fig Tree Generation. The present existence of Israel and Jewish Jerusalem is incontrovertible evidence that Jesus' return is imminent. The world is living on borrowed time and is blind to what is an incredibly obvious sign. It's actually quite ironic. In the 19th century a number of biblical literalists (many of whom believed in a pre-trib rapture) predicted that the Jews would soon return to the Holy Land en masse and the nation of Israel would be reborn. They were mocked, ridiculed, and maligned as crazies and fundamentalists. The ivory tower theologians, especially in the Catholic and mainline churches, had long since abandoned any literal prophetic hermeneutic in favor of Augustinian allegorism. But sure enough, just decades later the Zionist movement was established and Jews began arriving in droves. Zionism quickly obtained the sympathies of influential evangelical leaders in the West and by 1917 the British rulers of the Holy Land were in favor of a future Jewish homeland in the region. The rest is history. The literalists were right because they trusted in God's Word and they'll be right again—not because of their own intellect or understanding—but because they are not wise in their own eyes. They know true wisdom and understanding come from God and God alone. With the stage now set we can begin laying out a speculative order of things. The Day of the LORD comes like a thief in the night upon an unsuspecting world, but the Church is awake, watching, and unsurprised (1 Thess. 5:3–4). 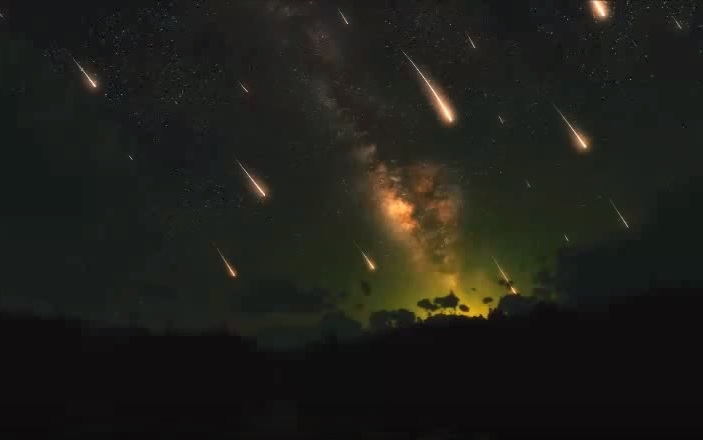 In fact, it is theoretically possible some will have even identified the week or month of the rapture because of a plethora of signs (God is screaming!). Sometime in the very, very near future the stage becomes perfectly set for the rapture. The very last person destined to be part of Christ's mystical body, the Church, gives their life to Christ and receives the Holy Spirit (Rom. 11:25). The male child has now outgrown the womb and is ready to be delivered. The time of the Gentiles is reaching its end and God is about to fulfill His promise to literally take (λαβεῖν) a people to Himself out from among (ἐξ) the heathen nations (Acts 15:14; another pre-trib passage, btw) before He restores Israel (Acts 15:15–18; Rom. 11:25–27). He will do this to provoke Israel to jealousy (Deut. 32:19–22; Rom. 11:11). As people go about their normal, daily routines a tear in the fabric of spacetime opens in the clouds above the earth. Blinding light permeates the sky as happened when Christ appeared to Saul on the road to Damascus. Crushing waves of a trumpet blast shake the heavens and the earth. The sound waves are so powerful you can feel them in your stomach and many fall to the ground in terror and confusion—yet God's children look up with exhilaration and hope. In less than a second's time beings of light emerge from the dust of the earth. The earth gives birth to the dead (Is. 26:19; 1 Thess. 4:16). A fraction of a second later those with faith in Christ who have yet to taste death are transformed—all the young children of believers, as well. Together the groups are pulled up into the sky as they gaze upon the unveiled face of Messiah—the LORD Jesus Christ. Just moments later the light disappears and ominous cloud cover returns. Darkness sets in. The sounds of crashes, screams, and cries can be heard in many populated areas. This was no secret rapture, but the inhabitants of the earth are nonetheless confused and disoriented. Back on the earth strong delusion has taken hold. Sporadic media broadcasts via TV, radio, and internet allay fears, saying the threat is gone. Speculation runs rampant. Many say the LHC in Switzerland malfunctioned, pulling millions into microscopic black holes. The religious suggest God judged the wicked and eradicated his enemies to save the earth. Most say it was a mass alien abduction. Anything but YHWH. Still, the eyes of many are opened. They realize the only possibility was the rapture of the Church (Zeph. 1:14–2:3; Is. 26:19–21; Lk. 21:36; Jn. 14:1–4; Acts 15:14; 1 Thess. 4:16–18; 5:1–11; 2 Thess. 2:1–7; Rev. 3:10; 4:1–2; 12:5). These begin to believe in Christ, calling on His Name for forgiveness and deliverance. They dust off old Bibles and search the Scriptures with more eagerness than the most eager of all Bereans. In the West, the United States is the hardest hit nation. Tens of millions vanished from that country alone. A number of the country's top leaders are among the missing. Other countries with large evangelical populations in Latin America, Sub-Saharan Africa, Europe, and Oceania are also in disarray. With believers gone, leaving behind an immense power vacuum, government vacancies across the West and post-Christian world are very quickly filled with progressives and socialists. Amidst the chaos and disarray there is little to no resistance as the lawless take charge. Most people are simply too scared and confused from all the looting, riots, and supply shortages to oppose what will be many illegal and unconstitutional appointments and snap elections. 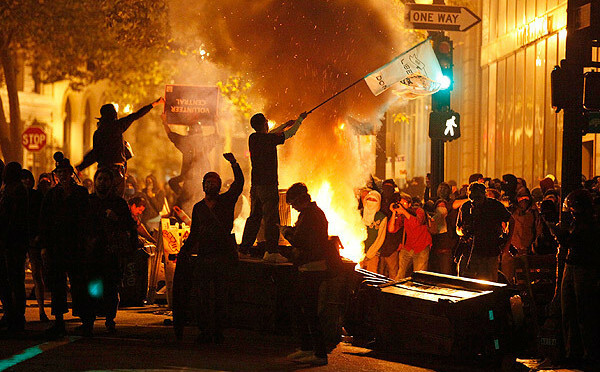 As the Bible predicted, it will be a time of lawlessness and the lawless will take the reins of power. Simultaneously, the Spirit of God appoints and seals 144,000 virgin males from across the globe—12,000 from each of the 12 ancient tribes of Israel. As in the days of Elijah and Elisha, God has miraculously preserved a faithful remnant of the descendants of Jacob. These now recognize that Yeshua is exactly who He claimed to be and they set out to tell their people (and the world) this truth. Behind the scenes, satan and his minions overstep their heavenly bounds and begin manifesting themselves to key government officials, technocrats, corporate executives, and religious leaders. How this manifestation happens is anyone's guess. Perhaps they present themselves as actual extraterrestrials. In the midst of this interaction, satan selects his chosen vessel—a willing man. Perhaps an alluring leader in Europe. Possibly someone long dead like Nimrod (a.k.a. Osiris). We can't positively identify this person now, but once the Restrainer—the Holy Spirit-indwelt Church—is removed from the earth, he will quickly be revealed (2 Thess. 2:7). Simultaneously, satan, possibly via the antichrist, appoints 10 loyal world leaders to each rule over one of 10 supranational regions. In Revelation 12:3–4 we learn that the dragon has 10 horns and in Revelation 13:1 we learn that the beast also has 10 horns. It may be that 10 angelic beings possess 10 human leaders just as satan will [later] possess the antichrist. 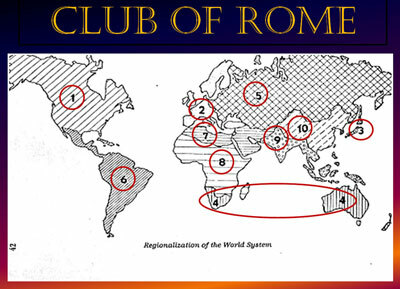 The template for this global empire is already public knowledge, as a number of international organizations like the United Nations and Club of Rome have presented various arrangements of a world divided into 10 zones. The long and short of it is that the man of lawlessness conquers the world without firing a shot. The world's unbelieving, globalist leaders will trip over themselves to hand over their authority to the beast and his 10 deputies for the "greater good"—a progressive, socialist "utopia"—something they have been dreaming about for a generation. They will be all-to-eager to do whatever is necessary to "help" end the chaos and empower the mysterious man-with-the-answers. And with believers gone, they will sail to power across the Western world with almost no resistance—practically overnight. Unfortunately for satan, this empire of iron and clay that rises immediately after the rapture will not meld well together. Side note: Daniel 9:27 tells us the antichrist will be of the people to come who destroyed Jerusalem in 70 AD. Naturally, this limits the choice to someone from Roman lineage, but possibly someone from Turkish or Syrian ancestry since many of the troops who sacked the city were conscripted from those areas. There is a third possibility, however. In the Book of Daniel, "prince" can also refer to one of the angelic princes given charge of a certain territory. In fact, in the very next chapter we learn of at least two angelic princes: the demonic "prince" of Persia and Michael, a faithful prince who assisted Gabriel in the fight to deliver the prophetic message to Daniel (Dan. 10:13). Therefore, there is textual warrant for the antichrist to either be of Roman lineage or from ancient Roman territory, or for the antichrist to be some sort of demonic prince who manifests himself to the people of earth in an alluring way. In any case, satan gives this "beast" his power and authority so that he (satan) can rule clandestinely while the beast rules publicly. Very shortly after the rapture and the antichrist's rapid rise to power as the progressive, globalist, "alien" solution to the world's ills, the second seal will be opened. Peace will be taken from the earth. Satan's overarching power structure will be weak and brittle, with national and religious ambitions still running rampant. Nation will rise against nation and kingdom against kingdom. China vs. Taiwan, North Korea vs. South Korea, Russia vs. Ukraine. Previous skirmishes will become major wars and millions will die. Even the antichrist's regional lieutenants will jockey for power. An alliance of Muslim nations immediately surrounding Israel will launch a blistering and bloody attack on the country to drive the Israelis into the sea. They will use everything at their disposal—so much that Israel's Arrow and Iron Dome systems will be quickly depleted. In the short and bloody war hundreds of thousands, possibly millions will perish in Northern Israel. The progressive strongholds of Tel Aviv and Haifa will be almost entirely destroyed. But Israel's retaliation will be swift. Damascus will be destroyed by nuclear attack in the night. Hezbollah in Southern Lebanon will be completely eradicated. Many Palestinians will be forced out of Judea and possibly Gaza, fleeing into what remains of Jordan and the Sinai, respectively. Much of the Arab population of Israel will likely be forced out, as well. With the loss of Tel Aviv and Haifa, conservative and Orthodox factions in Israel will have absolute control of the Knesset and the courts and non-Jews will be forced out of the Old City. The Dome of the Rock will be bulldozed in preparation for the Third Temple's construction, but its construction will be blasphemous to God (Is. 66:1–6) because it signifies a people who still reject the sacrifice of His Son. With no opposition remaining in the immediate areas surrounding Israel, the West Bank barrier will be torn down. But despite the decimation of Hezbollah, Hamas, and the militaries in Syria, Jordan, and Lebanon, Israel will still be in a weakened and vulnerable position. Gog, possibly the antichrist's regional lieutenant over the Middle East or Russia, in conjunction with the Muslim countries of North Africa, will see Israel's vulnerability and seek to exploit it with overwhelming military force. Muslim armies, with possibly Russia in tow, will assemble one of the largest standing armies the world has ever seen and storm through Israel's decimated northern frontier. With what's left of Israel's nuclear deterrent, the IDF will be unable to launch a defensive attack out of fear of immediate nuclear reprisal from Russia or Pakistan. They will be sitting ducks. God intervenes. Confusion strikes the hordes of Gog and the soldiers fight and kill one another. Hail and burning stones of sulfur rain down and annihilate Gog and all those with him. Strewn across Northern Israel are the bodies of hundreds of thousands of soldiers from Turkey, Russia, Iran, Sudan, Libya, and a number of other countries. Many Israelis (and Gentiles in other countries) will see what God has done and finally turn to Him for salvation, but for a time Israel's leaders will still go their own way in pursuit of Judaism and the Third Temple implementation plan. I believe this period of world war will be mere months in duration. Things will change very, very quickly and many will be surprised at just how unstable and tumultuous the world situation will be—like a flood. With the world's believing Christians gone and Muslims and Jews killing each other by the hundreds of thousands in the Middle East, the world's progressive media in league with the antichrist will foment a fundamental hatred of organized religion. The last national opposition to the antichrist's total dominion will be religious in nature. The Jews and Muslims of the Middle East will not readily submit to his rule. Apparently his lieutenants in three of these key areas will be behind the rebellion. He will gather his forces and storm through Egypt and Libya and a number of other countries in the region, overthrowing what Muslim opposition remains, and replacing the lieutenants in three of the world regions (presumably some combination of the Middle East, Africa, Russia, or China). With Russian and Middle Eastern forces lying dead on the battlefield of Northern Israel and U.S. and Western European military might at his beckon call, he will sweep through these countries with ease. But his solution to the "Jewish problem" will be different. The IDF has nukes and satan realizes Israel also has a very watchful God in Heaven as evidenced by the massacre of Gog and his horde. He will present some sort of a regional agreement or treaty, possibly based on peace plans already in the works, that guarantees Israel's safety for a period of seven years. It will allow Israel to build or continue building their Temple (my mind isn't made up on whether or not the covenant itself is what jump-starts the Third Temple's construction and occurs in conjunction with the first seal or if the Israelis begin building it in the immediate aftermath of Psalm 83 and Ezekiel 38). The agreement will likely stipulate Israel not expanding its borders into the rest of Abraham's promised inheritance and that what few Arabs remain in Israel and Judea be protected. In turn, the antichrist will promise Israel safety, the denuclearization of Iran, and other economic and geopolitical favors. Israel's leaders will acquiesce, but unbeknownst to them is that this "covenant with death" is a major part of satan's final plan to not only kill every last Jew and thwart Christ's return to reign on the throne of David, but also to rule the earth himself. A lesson from history: The reason Hitler, a precursor to the antichrist, did not succeed in his murderous plans was that there were still large and numerous Jewish communities outside of Europe. Satan's plan is different. He intends to chase the Israelites who still remain scattered throughout the world back into Israel, so that they will be quarantined to a single area and vulnerable to attack, yet what the enemy has intended for evil, God intends for good. According to Jeremiah 16:14–17 God will use this to bring all the remaining Israelites back to the land to fulfill His ancient promises to Abraham, Isaac, and Jacob. The seven-year covenant may very well include a provision requiring all Jews to immigrate to Israel and the antichrist promises that any Jews in Israel will be spared mistreatment. As the covenant goes into effect, two mysterious men dressed in sackcloth appear in the Old City of Jerusalem claiming to bring a message of warning from the LORD. Some in Israel claim they are Moses and Elijah. Others say Elijah and Enoch. Still others, new Jewish believers, say they might be Elijah and the Apostle John. At this point, some number of months after the rapture and the beginning of Daniel's 70th Week, the third seal is opened. With hundreds of millions missing, millions dead from war, and the antichrist's chaotic world transformation well underway, the global economy finally collapses and government efforts become powerless to halt the breakdown. 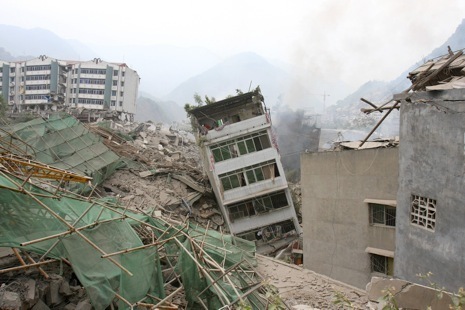 Increasing numbers of earthquakes also strike major cities, speeding up the meltdown and severing important supply lines. 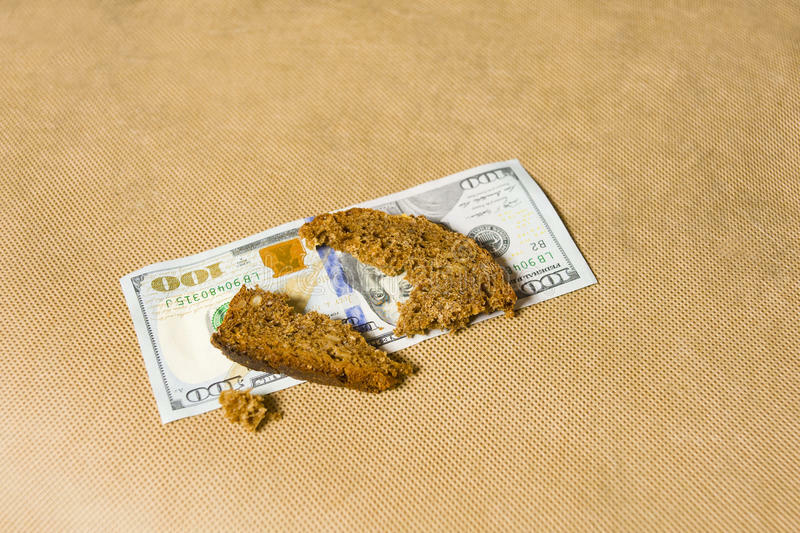 Many people have only enough money for a few scarce pieces of bread. The devastation from war and a collapsed world economy takes a very heavy toll, but especially in a particular quarter of the world—likely Africa or Asia. Hundreds of millions die from starvation and martyrdom (especially believers) under the antichrist's oppressive reign. It will be like Mao Zedong's Cultural Revolution, but on a much larger scale. During the first several years of the Tribulation the antichrist invests his time and resources into completing a functioning neural lace technology—what will ultimately become the mark of the beast. This technology is already being pioneered by engineers at Google, Facebook, and Elon Musk's Neuralink, but with otherworldly help from satan and his fallen angels, the antichrist's engineers will be able to complete the project. Our world is increasingly connected to the internet (an "internet of things"; called IoT). Your home, car, phone, refrigerator, TV, Alexa, etc. Even pacemakers and implants are already networking with the World Wide Web. This is the avenue through which I believe the antichrist intends to control the minds (and souls) of men. The neural lace is the final step. A neural lace is a device or implant that can allow a computer to directly interface with the human brain, transferring information directly into the mind. Believe it or not, the technology is already well on its way. With most remaining national opposition to the antichrist stamped out, the iron bars of the ultimate Orwellian state grow thicker and stronger. Most people turn inward, numbing out with virtual reality and media. Any opinions that deviate from the progressive, globalist agenda are strictly prohibited. Anyone sharing "wayward" ideas, conservative opinions, or Jewish or Christian literature are banned from social media, lose their employment, or even disappear. The paranoia and fear in the population is palpable. For the "good" of society everyone is ordered to report anyone (even family members) who might deviate from the "utopian" narrative... especially if someone is suspected of being Jewish or possessing Bibles or Scripture materials. The Christian Bible and Tanakh are considered detrimental to society to the point few dare even mention their existence in public. Conservative, Christian, and Jewish elements of society try to congregate underground and in secret. Some hide in caves and others in abandoned buildings. Some even escape to the sewers. Many millions across the planet are caught and executed for their faith in Jesus, but their stalwart resolve plants the seeds of faith in millions more who also become willing to die to escape the misery of the antichrist's hell. A mighty earthquake shakes the earth. The sun then turns black and the moon to the color of blood. The world is baffled at how a simultaneous solar and lunar eclipse could occur... and then... the sky is again torn open revealing the Throne of God. Wicked men and women scramble for cover, many hiding in caves and under beds. "It's God! He's finally going to kill us!" Faint lights like dim stars appear in the sky and stream down to the earth (Rev. 6:13; c.f. Rev. 12:4). Many believe the lights to be aliens. Indeed they are aliens, but not extraterrestrial. They are inter-dimensional. Christ's Church has displaced satan and his cohorts. The dragon and his wicked horde who accused God's children day after day have been forced out of the heavenly realms after a mighty battle with God's angelic army (Rev. 12:3–4; 7–9). While they appear to some, these ghouls mostly remain in the shadows as they regroup and lick their wounds. Their spiritual leader is wroth with anger and eager for vengeance. When the sky opened up the first time, the Church was taken up. When it opened up this second time, satan was cast down. Because they overstepped their bounds, satan and his minions lose their place in Heaven and lose their immortality (Ps. 82:6–7), but still remain immensely powerful. When Christ opens the seventh seal there is a brief period of silence in Heaven. Somberness overtakes the worshipers as they realize what is about to happen to the unrepentant earth dwellers below. Then the silence is interrupted as the seven trumpets begin to blow. The first trumpet blows and hail and fire rain down on the planet. 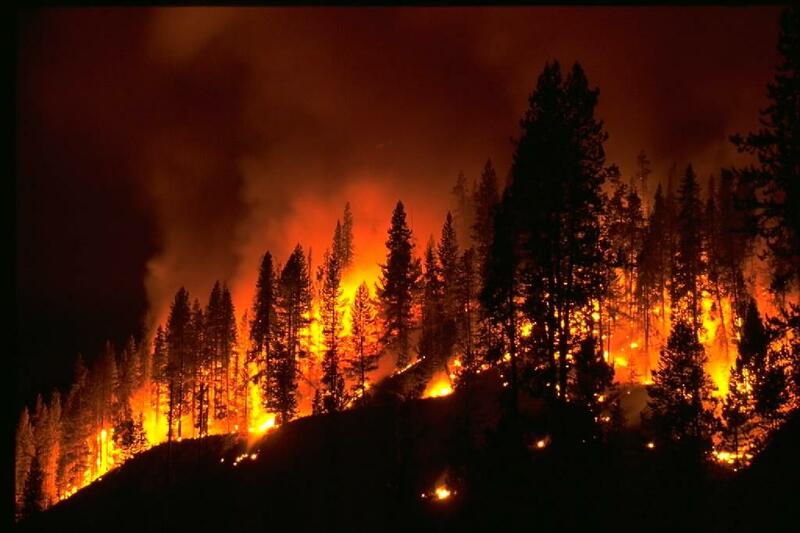 All grass is burned up and one-third of the planet's forests are incinerated. 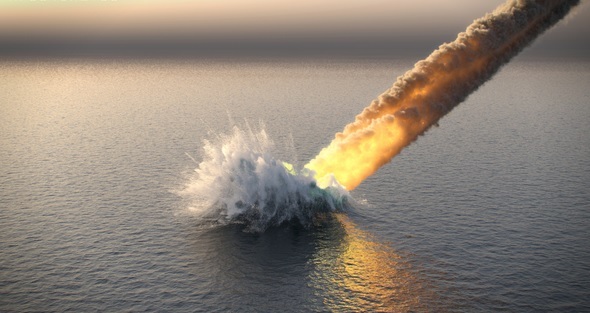 The second trumpet blows and a large meteorite crashes into the ocean—likely the Pacific or Atlantic—and one-third of the sea turns into blood. One-third of the world's ships are capsized and sink from the resulting tsunami and one-third of all sea life is killed. The third trumpet blows and another meteorite, a smaller one, slams into one of the earth's larger continents. 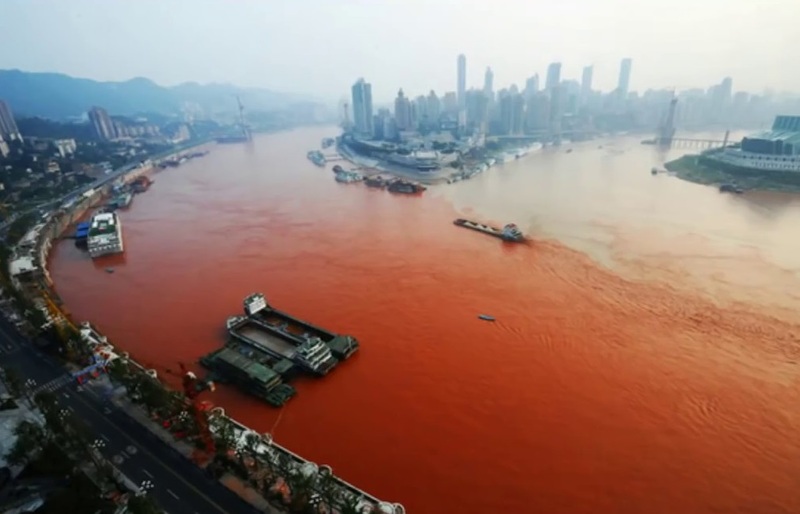 The object brings with it some sort of toxic gases or chemicals, which contaminate the many rivers. 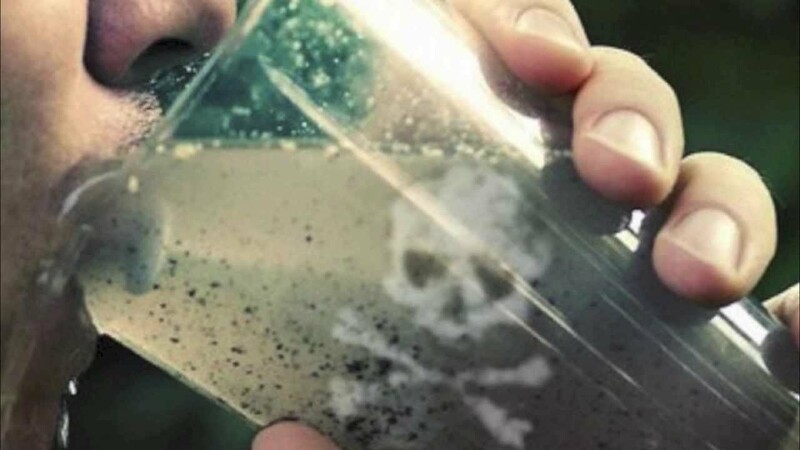 One-third of the earth's fresh water is made too toxic to drink and many people die from drinking the poisoned water. The fourth trumpet blows and some sort of large, interplanetary object passes by the earth. The massive object rocks the planet, pulling it in a gravity well. The earth's spin is fundamentally altered—its rotational speed accelerating from 460 meters per second to 690. The days are cut short from 24 hour periods to only 16 hours. Daylight now only lasts for about 7–8 hours. The fifth trumpet blows and a large rift in the ground opens. Smoke as from a billowing volcano lurches upwards into the sky. TV cameras and live webcams capture the terrifying sight as millions of small, demonic beings—monstrosities—emerge from within the earth. 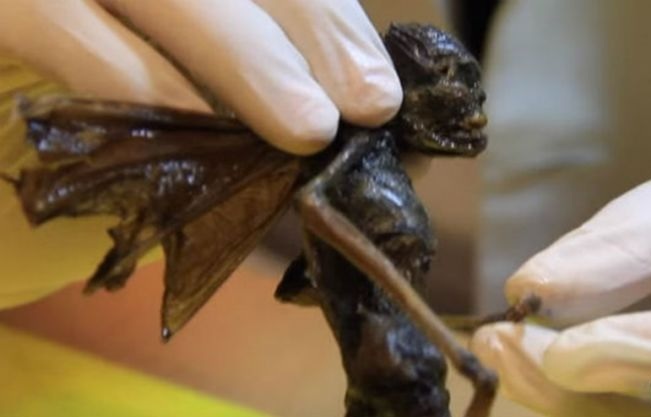 The nightmarish creatures look like a cross between locusts, scorpions, and men. They seek out the earth's inhabitants to sting them, tormenting them for five months before the plague is subdued. The sixth trumpet blows as the demonic plague dies down. Humanity breathes a collective sigh of relief, but only for moments. Shortly after the earth dwellers are promised by the beast an end to the earth's burgeoning catastrophes, a much bigger catastrophe is unleashed than anything that has come before. Again the physical and spiritual realms intermingle and some sort of portal is opened near the Euphrates River in the Middle East. Out from the spacetime rift emerge 200 million angelic (or demonic) beings ready for battle. 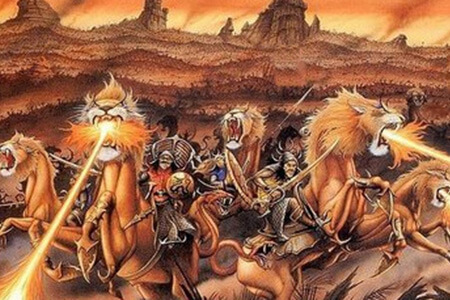 They are unlike anything the world has ever seen: interdimensional mounted troopers riding upon what look like fire-breathing lions with carnivorous, serpentine tails. Most people believe it to be an extraterrestrial invasion. This otherworldly army spreads out into the earth bringing with it the greatest cataclysm since Noah's Flood. Fully one-third of all people are killed by the army. But the beast-loving remainder of earth dwellers refuse to turn to God for mercy. After the army "disappears" the peoples' hearts are hardened once again and they rally behind the antichrist and his false prophet. Nearing the very end of the first 3.5 years and with the remaining Jews gathered to Israel, the antichrist puts his final plan into motion. He summons the armies of many nations and surrounds defenseless Jerusalem. Then the city is ransacked and overrun by the beast's armies. In the midst of skirmishes across the city, the antichrist arrives. Though under heavy guard by a security detail, a sophisticated assassination is perpetrated and the man of lawlessness is killed. While some news reports attempt to cover up the assassination, it can't be hid for long. Soon the world is mourning over the loss of their beloved leader. But the now mortal satan comes to the "rescue," entering and reanimating the antichrist's corpse through direct possession just as he once entered into Judas (see Lk. 22:3). The world marvels after the beast. The false prophet declares it to be evidence that he is indeed the world's savior and perhaps even a god. The Two Witnesses are executed, and the man of lawlessness enters the Third Temple, declaring himself to be not only the world's ruler, but god in the flesh. Mystery Babylon—the whore—is finally revealed. It's none other than Jerusalem, the "great city" (c.f. Rev. 11:8). It's the city that rules over the kings of the earth, adorned in scarlet and fine jewels like a prostitute (Rev. 18:16–17). The city that has now twice rejected Messiah in favor of satan and has rejected the message of the prophets. The whore has been found guilty of shedding the blood of all the prophets (Rev. 17:6; 18:24; c.f. Mt. 23:34–39). The woman rides the beast, but is not the beast—the beast hates the woman. It's from this city that satan hates that he unveils his penultimate plan to enslave mankind and overthrow God's rightful rule of the earth. With the help of his false prophet an "image" of some sort is installed in the inner sanctum of the Temple (likely some form of AI or quantum computer that will allow control over all those taking the mark). The neural lace mark of the beast is revealed and everyone the world-over is demanded to have it implanted in either their forehead or right hand. Without it you won't be able to eat. With it you won't be able to escape God's judgment. The entire earth will finally have one final choice to obey God or reject Him. The choice will be clear. Here is wisdom. Let him that hath understanding count the number of the beast: for it is the number of a man; and his number is 666. Revelation 13:17 tells us people will need the number of the beast or his mark to buy or sell. The Greek word some translate "calculate" is best understood as simple arithmetic—counting. In the Bible's Hebrew and Aramaic alphabets, the sixth letter is 'Waw'. In Modern Hebrew, 'Vav'. In Bible times it was the 'W' sound. Waw-Waw-Waw. WWW. 666. At the mid-point of the Tribulation the antichrist has complete digital control of the planet via the World Wide Web. He controls every TV, security camera, phone, and electronic device on the planet and can manipulate them at whim. All that remains is for him to directly connect humanity to that same internet, so he can control and manipulate them, too. Submitting to the antichrist and receiving his neural lace "mark" will bring individuals beyond the possibility of redemption for the very reason that he, via his "image" and infrastructure, will be able to transmit apostasy directly into the human mind. The Two Witnesses are resurrected and raptured to Heaven and earth dwellers are stricken with terror. 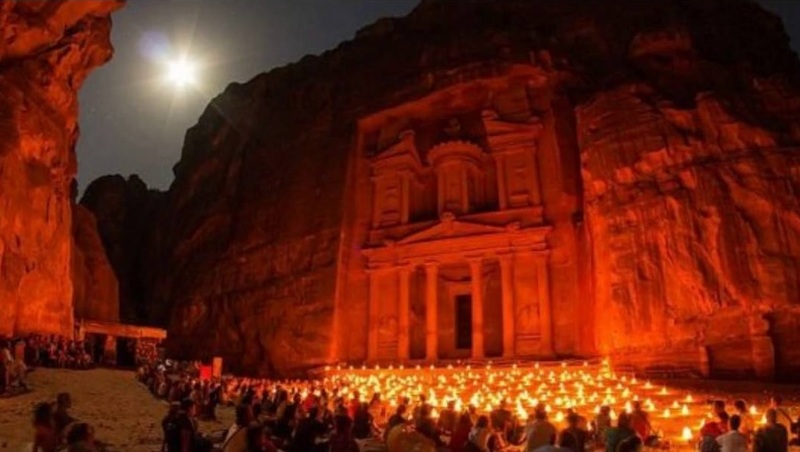 Then the remnant of Israel heeds the warnings of Scripture and with divine help escapes to the east, into Jordan—most on foot—with the blasphemer's armies in close pursuit. God now defends his believing remnant and the fury of his wrath is displayed to the world in defense of His people once again—just as it was 3.5 years earlier when He decimated the hordes of Gog. A mighty earthquake shakes the Holy Land, so powerful that 1/10th of Jerusalem immediately collapses into dust. 7,000 people are crushed in the rubble—likely many who were loyal to the antichrist. The earthquake opens a rift in the desert behind the escaping remnant and the armies in pursuit are swallowed up just as Pharaoh's army was once swallowed by the Red Sea in the days of Moses. The antichrist is now powerless to stop Israel's escape (Rev. 12:15–16). While the Tribulation had already been inexplicably terrible, the Great Tribulation is far, far worse (Mt. 24:21). Aside from scattered bands of believing Gentiles and the remaining people of Israel, mankind has chosen to follow the beast and has taken his mark. Their fate has been sealed. All that remains is a terrible and protracted judgment. Realizing that Israel is beyond reach, satan now turns his attention to those Gentile believers who still remain scattered throughout the nations. The remainder are quickly killed now that the beast and his followers have near-complete control and surveillance of the planet. No one on earth can then resist him. 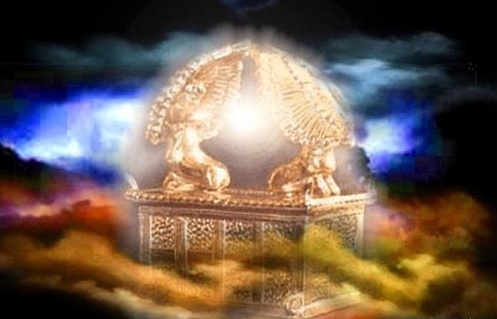 The seventh trumpet blows and a third tear in the sky reveals God's heavenly temple and the Ark of the Covenant. Lightning flashes forth across the heavens. Another mighty earthquake shakes the earth and large hail pummels the ground. Voices echo from Heaven declaring that ownership of the earth's kingdoms has been transferred from the devil to Christ. The Church is complete, the full number of Tribulation Saints destined to be martyred have been killed, and Israel is safely in hiding. Whereas most were severely deluded in the lead up to the Great Tribulation, believing various lies about what had been happening, the beast's followers now realize with certainty that God is who He says He is and the time of His final judgments has come (Rev. 11:18). They are in for it. Their delusion now becomes utter hatred towards God and they openly oppose Him. Like the demons, they believe and tremble. The final segment of God's triple-septad judgment (seals-trumpets-vials) is about to begin in the lead up to a dramatic, grand finale. The first angel pours out his vial of wrath and painful, blistering sores break out all over the bodies of those with the mark of the beast. The second angel pours out his vial and the rest of the oceans turn to blood. Every single living creature in the sea perishes. The third vial pours out and all the world's rivers turn to blood. What little flowing, fresh water is left is now gone and wicked mankind is now reliant on dew, existing supplies, and stagnant bodies of water to survive. The fourth vial pours out and the sun's energy is substantially increased. 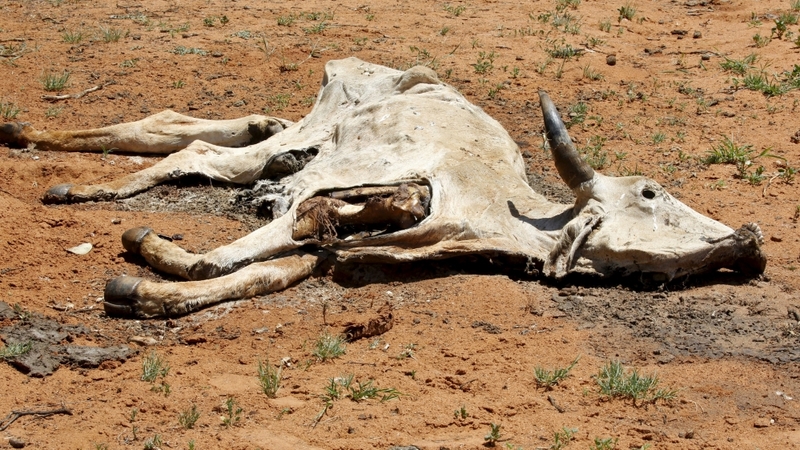 Many, especially near the equator, are scorched and burned by the unbearable heat. When the fifth vial is poured out, it is as when darkness covered the land of Egypt in the days of Moses, but this time the darkness covers the whole earth. The sixth angel pours out his vial of wrath and the Euphrates River dries up completely. All the nations in Central and East Asia now have direct foot access into the Holy Land. God is baiting them, urging a final confrontation. Knowing that Christ and His saints are now on the way, the antichrist and false prophet, under the direction of satan, stir up the nations into a murderous frenzy. The plagued hordes, including large armies from the east, gather in the land of Israel to fight the coming "alien" intruder and kill the remnant in hiding. They gather on the plain of Megiddo and make their way south to the outskirts of Jerusalem. Satan now has a scorched-earth policy like Saddam Hussein several decades earlier—He controls Jerusalem and will stop at nothing to prevent the Son of David from capturing the city and assuming David's throne. Antichrist's army and followers then burn much of the city to the ground (Rev. 17:16). The seventh angel pours out his vial and the LORD God utters words from His Throne that He had not spoken since He hung on a cross some 2,000 years earlier: It is finished (Rev. 16:17). Then a great earthquake shakes the entire planet—the most violent earthquake ever to strike earth. 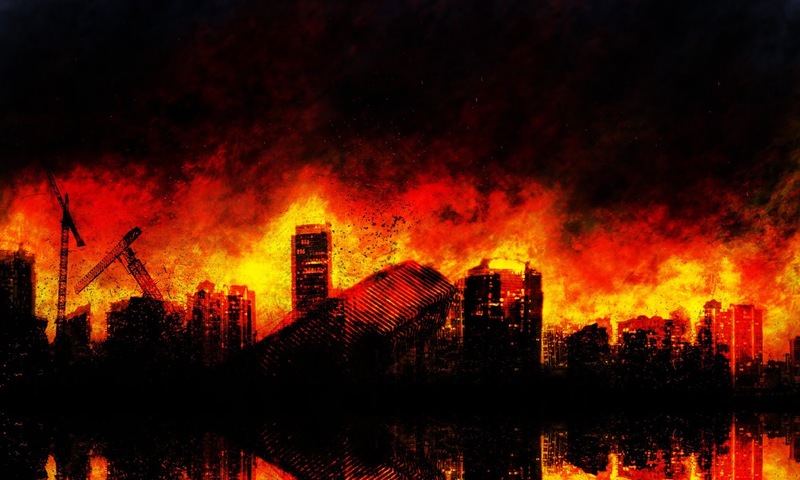 Mystery Babylon—Jerusalem—comes crashing down, as do cities all over the world. And survivors find little solace away from the wreckage for 100-pound hailstones fall from the sky, crushing many to death. The hundreds of millions of rebels encompassing Jerusalem fire weapons and throw stones into the sky with futility trying to kill the Rider on a white horse (Rev. 19:19), but the torrent of giant hailstones pounds them into the ground like a mortar and pestle. Jesus Christ descends from Heaven once again, but this time with His mystical Body in tow. An army of hundreds of millions, clothed in radiant light, descend with their LORD to finish off the unholy trinity (satan-antichrist-false prophet) and the remainder of their army. The feet of the LORD touch down on the Mount of Olives just as prophesied (Zech 14:4; Acts 1:11) and a huge rift splits the mountain, with half moving north and half moving south. The blood of the largest human army ever assembled begins to flow outside the city and through the rift. In places the blood is nearly five feet deep. It flows for 180 miles. All opposition to Christ and His saints has been eliminated. 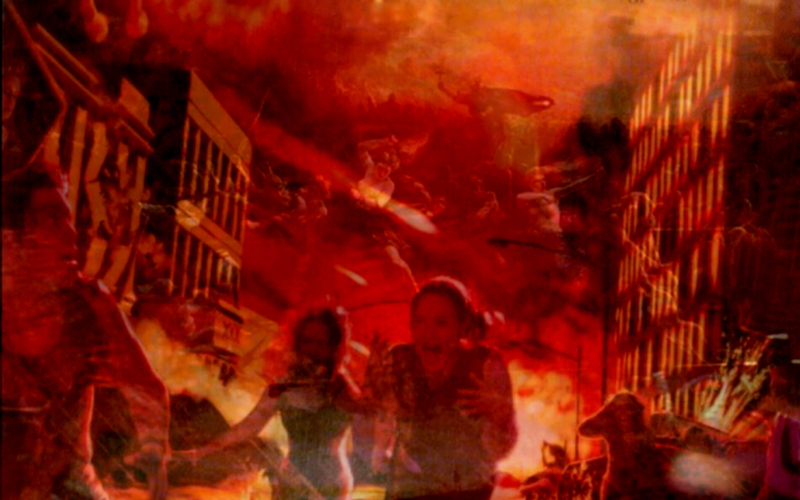 The antichrist and false prophet are captured alive and cast into another dimension—the lake of fire (Rev. 19:20). The fallen Cherub, Lucifer, now separated from his host, is incarcerated in a spiritual abyss—unable to harm mankind for 1,000 years (Rev. 20:1–3). The LORD and His co-heirs begin their reign upon the earth. The remnant of Israel returns from hiding. 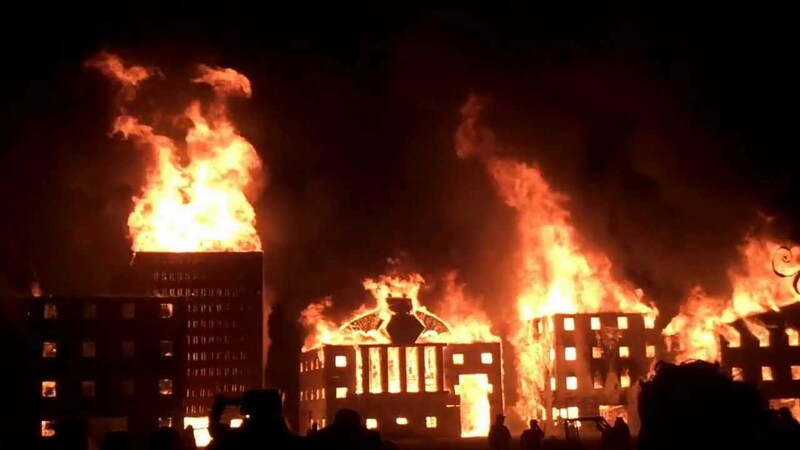 Gentile survivors are gathered and judged—all with the mark of the beast are burned outside the city. The repentant without the mark are preserved and rewarded. The Tribulation Saints are resurrected (Rev. 20:4). The LORD's people begin rebuilding Jerusalem, but this time as a much larger square with a much larger Temple. The world is cleansed and restored to an Edenic paradise and the last 1,000-year period of human history begins. Revelation's chronology is something that has long confused students of Bible prophecy (specifically the inner-workings of Daniel's 70th Week). One of the chief reasons is that there are many chronological indicators that make simple assumptions about the book untenable (e.g. that it is a perfectly-ordered, Western-style timeline). Another reason is that certain patterns and events are repeated in similar fashion. This can make it tempting to believe some of these patterns are pointing to the same event (sometimes they are and sometimes they are not). I surveyed a number of different literalist chronologies. Some (like Dr. John Walvoord) place all 21 judgments in the last half of the Tribulation. A smaller minority use a historicist-futurist hybrid, believing that the seals have been opening successively since Christ's ascension. The majority place at least the first six seals in the first half (as do I). That leaves how to handle a flurry of mid-tribulational events, such as the Abomination of Desolation and the death and resurrection of the Two Witnesses. 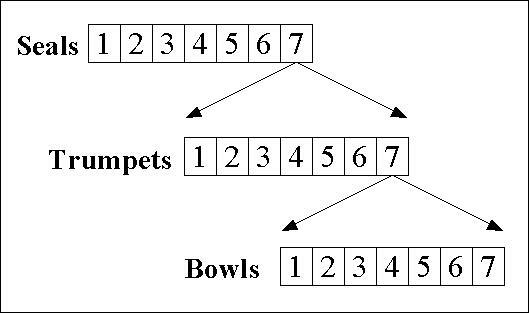 It's definitely a tough call and I could be mistaken about some of the details, but I think the mid-trib break occurs between the sixth and seventh trumpets. 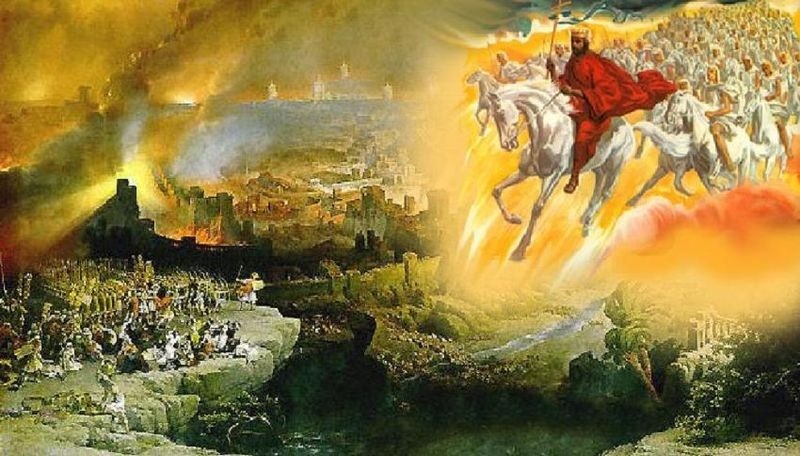 Revelation 11 is the decisive prooftext for me, because of the second woe and when the seventh trumpet is blown in relation to the end of the Two Witnesses' ministry (this article explains part of the reason why Revelation 11 is so decisive). Just as important, Revelation is chronological, but not in the Western sense of the word. It's a Semitic chronology similar to the Book of Genesis. Semitic chronologies often give an ordered overview of events followed by an in-depth explanation of certain key details from the previously mentioned list. The cycle then repeats. Genesis is a prime example. Genesis 1–2:3 is an ordered list of events during Creation Week, including the Sabbath. Genesis 2:4–25 rewinds to Day #6 and spells out lots of details. Interludes can look back or back and forward, but never only forward. 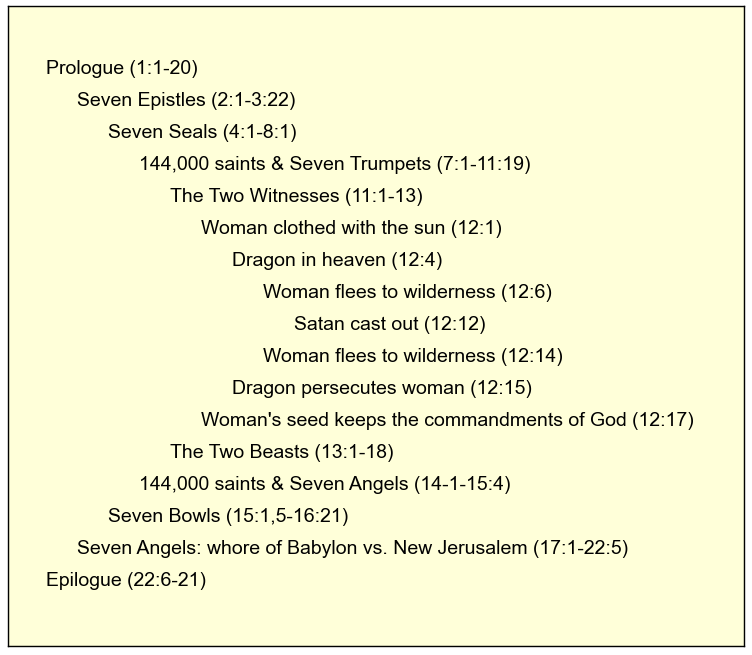 In relation to Revelation's 21 judgments, that's what we see. Revelation 8:1–5: Seventh seal triggers the seven trumpets. Revelation 10–14: Interlude explaining key details from the previous ordered list plus many events still to come. Keeping with Revelation's chiastic structure, this interlude is central to the entire narrative and contains two of the most important themes in Revelation (Rev. 12:5 - the rapture; Rev. 12:7–9 - satan's fall). Additionally, when you factor in that shortly before the middle of the Tribulation, trumpet #4 changes days from 24 hours to 16 (fulfilling Mt. 24:22), the division becomes even more practical because the last half of the Tribulation will still be 1260 days in length, but only two-thirds the number of hours as the first half of the Tribulation. I have definitely considered that and in fact believed a similar theory many years ago. However from 8-9 more years of diligent Scripture study I've moved away from pre-wrath and post-trib views. Imho, I don't think either can be supported by Scripture. And it's very true that the elect will be gathered AFTER the Tribulation (I even mention that in the above article - Trib Saint resurrection / Remnant of Israel returns from hiding). The Church is the elect. But Scripture is ABUNDANTLY clear that Israel is, too. There's no contradictions, just different groups of people spoken to. The problem with lumping all the groups together is what causes real contradiction. Scripture is REPLETE with PROMISES to the Church that they will escape the coming wrath / be hid in the Day of the LORD / go bodily into Heaven. The Post-trib view can't easily reconcile these PROMISES. I've totally decimated that view in my latest article. The elect are the Jews, not the church. Hopefully that will clear up a few things. BTW, I read your Psalm 83/Ezekiel 38 article a few days ago. I think you very well may be right—I've never felt that the ring nation theory and chronology was a perfect fit. It's one of the above details that I'm most open to changing. "In the Bible's Hebrew and Aramaic alphabets, the sixth letter is 'Waw'. In Modern Hebrew, 'Vav'. In Bible times it was the 'W' sound. Waw-Waw-Waw. WWW. 666." May I expand on that for a moment? Ancient Hebrew rendered the sixth letter of the alephbet "ו" as a type of hieroglyph in the form of a tent stake, SPIKE or what we may consider a NAIL. For those who are new to this, ancient Hebrew is based upon symbols each having their own meaning. Those symbols amplify the letters and their meanings to create a rich and deep language. Hebrew uses letters for numbers thus each character has a numeric value of its own. Greek works the same way. Take a look at the Greek alphabet. Stigma "ϛ" is a ligature of the Greek letters sigma "Σ" and tau "Τ", which was used in writing Greek between the Middle Ages and the 19th century. It is also used as a numeral symbol for the number 6. Thus 666 in Greek may be rendered as "ϛ". The meaning of the word "Stigma" is as a mark of ownership. Christ's stigma was, "ϛ", "ϛ", "ϛ" or in the Hebrew, "ו" ,"ו", "ו". The number of man three times. The number of the beast. The number of sin held Christ to the cross. He bore it in His flesh. He bore it in His body. My sin is engraved upon His hands and feet. My name is engraved there too! Just as at the first Passover, the blood of the was lamb poured out that we may take it and paint the doorpost that death would not enter. Confessing our belief and faith in Christ and accepting His death as our own (Romans 10:9-10) paints the doorpost of our heart. Once and for all. Very powerful stuff, Pastor Rich! Actually all words in the Bible are Christ's words (2 Timothy 3:16-17). Gary - somber but very needed article. In the interim many will debate details, but I pray this document will be used to save some from the great deception, that they might see truth, repent and be saved. There is much evidence to suggest that the judgments found in Revelation 6 and Isaiah 24 (with Isaiah 24 describing the same event as Revelation 6) are going to be caused by the approaching Planet X system. Whether or not one believes in the planet x narrative, there is much evidence historical and recent to recommend it's existence. In fact, my wife was a witness to something unusual during her morning walk in the park near where we live. On the morning of October 7, 2017,she spotted something unusual in the sky that looked like a moon, but was not Earth’s moon. She pointed her phone camera at the sky and snapped the picture of what looks to be one of the several moons of the approaching Planet X system, a system that will cause the catastrophic global judgments found in Isaiah 24 and Revelation 6. I embedded her photo in my article. Link below. I found your article very interesting and applaud the incredible amount of effort put forth in writing it. 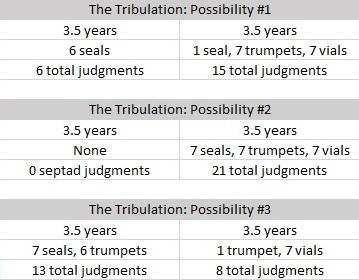 From what I read, I gather that you believe the seal and trumpet judgments comprise the first 3.5 years (approximately) and the bowls comprise the last 3.5 years, or what is known as the "great tribulation." Please allow me to pose some questions that will help me to better understand your chronology. The 7th trumpet, Revelation 11:15-19, occurs soon after the resurrection and ascension of the two witnesses. The 7th trumpet sounds and voices in heaven declare the kingdoms of this world have become the kingdom of God and of His Christ. It would appear this is a direct reference to what is addressed in Daniel 2 when the world kingdoms are destroyed by the stone not hewn by human hands. The Kingdoms of this world end and the millennial reign of Christ begins... at the sounding of the 7th trumpet. By putting the trumpets in the first half, would that not indicate that Christ's rule is beginning at the midpoint of the tribulation, at or near the same time the reign of the antichrist begins? That just doesn't seem logical to me. 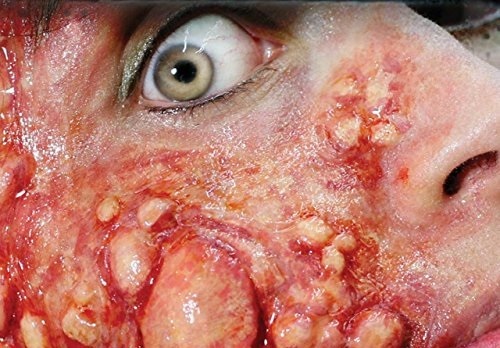 Also, the first bowl judgment is for those with the mark of the beast to receive sores and boils on their bodies. If the 1st bowl were to happen shortly after (presumably) the mid point when the antichrist has just begun to reign, it would seem that not many people would have yet taken the mark. By your timeline, the implementation of taking the mark would have had to occur before the mid point for the majority of people to have received the mark by the mid-point. Is it your thinking that "mark of the beast" system will begin before the mid-point when the antichrist actually begins to reign? Thank you Robert for the compliment and also for the very thoughtful/challenging questions. Revelation is the single most debated prophetic book in the Bible and mainly for reason of chronology. It's been a long time coming for me to finally piece this together from Scripture (and of course its imho). I surveyed a number of different literalist chronologies. Some (like Dr. John Walvoord) place all 21 judgments in the last half. A smaller minority use a historicist-futurist hybrid, seeing the seals opening successively since Christ's ascension. The majority place at least the first six seals in the first half (as do I). That leaves how to handle the mid-trib break. It's definitely a tough call and I could be mistaken about that part, but I think its between the sixth and seventh trumpets. Revelation 11 is the decisive prooftext for me, because of the second woe and when the seventh trumpet is blown in relation to the end of the Two Witnesses' ministry. 1. The prince of the power of the air no longer has access to the heavens. He's deposed and running around in a flesh-suit. 2. Israel is now perfectly safe in Jordan and thus the Dynasty of David is ready for its ultimate King. 3. Rev. 7's Gentile multitude is completed. In other words, God's new kingdom, government officials, and power structure is assembled in-waiting. The Church, as well, is united to the Head and it's the Head (Christ) in conjunction with His mystical Body that will rule all nations. The seals have all been opened, and rightful rule of the earth indeed now *has* been returned to Christ whereas, for whatever reason, satan actually had some actual claim to the earth before because of how he swindled Adam. At the seventh trumpet the situation goes from satan-with-still-some-valid-claim to satan-the-trespasser and Christ now spends the remainder of the last half mopping up the mess in *His* Kingdom. Hi Gary -- Wonderful piece on the Book of Revelation. Praise Papa and King Jeshua for giving you to us. "The seals have all been opened, and rightful rule of the earth indeed now *has* been returned to Christ whereas, for whatever reason, satan actually had some actual claim to the earth before because of how he swindled Adam." Yes, currently satan has acknowledged claim to planet Earth and atmospheres. This is because Adam's authority was superseded when he 'listened to the voice of the woman' and followed her instead of God. Different Millennium, same original sin we got now. Christ had power to take Earth by force from satan when He manifested, but instead He adhered to the due and proper courses of the Law. Remember that Lucifer was the most brilliant and powerful of the angels, meaning that within him was/is contained some significant portion of created pneuma directly from Papa. Such things cannot simply be 'wiped away' or destroyed, regardless of behavior, including overt rebellion. If Father allowed this, then the Hierarchies are meaningless, and chaos ensues, because nobody's place would mean anything. Instead, fallen spirits must be allowed due process before all of heaven; if not, we would NEVER hear the end of the whining and complaining about how 'they didn't have a fair chance' and on and on. Whereas via due process -- tho seeming slow to creatures here on Earth -- there can be no later complaints or recriminations. Likewise, Papa or the King could cast satan and all the fallen ones out of heaven this instant, but they do not. It must be done in due order, and they want men and angels to accomplish this thing, via the Spirit, not via power or force, even as the LORD said to Zerubbabel then, even as the LORD says to Zerubbabel now. So we still got it to do and I'm pleased to see you warring here on behalf of our beloved Father and our King. I have been lurking for a while and I enjoy all of the posts they are a true blessing. I have one thought. In the book of Revelation, I do see most as literal translations, but I also think John, in his first century mind, was trying to make sense of everything that he was seeing. For example, the portion about the men’s horses being like lions, I think it is possible that he was referring to tanks, but did not have the right vocabulary to describe it. Thoughts? That's the way I used to think, but when it comes to Scripture, I've found myself running into lots of trouble whenever I begin making leaps not expressed in the text. God's Word is true - all of it. The plagues of Egypt, crossing the Red Sea, angel-bread falling from the sky all sound "unbelievable" and the world laughs at the claims, but they are all true. Revelation's claims are true, too. Horse-lion-snake chimeras do not resemble tanks (imho). There are also not 200 million tanks. 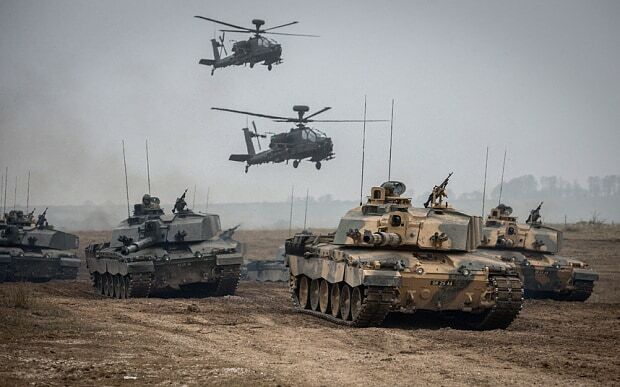 In fact, there are probably less than half a million tanks on earth. Gary, I used to see these things and tried to encrypt them like Zorrobird too - until I learned more about the "days of Noah" regarding the existance of hybrid man-angelic beings and the return of the fallen angels cast down on earth & let loose from the pit, the Nephilim / Rephaim Giants and demonic entities (demons posessing non-living matter like AI technology etc today). I agree with you to possibly take Johns descriptions literal as there will be a lot of such creepy creatures again on earth. It makes sense then how John calls them the "beasts of the earth" in Revelation 6:8 ... MARANATHA! Very good points. I am not dogmatic about it. I think that lends itself more to the alien deception than my thoughts do. It would help rationalize the rapture in the minds of the unbelievers. Very good point, Aimee! From the perspective of anything-but-God humanity, these chimeras will *reinforce* their belief in aliens. Actually... come to think of it... I need to include that detail. Here are just my simple thoughts on the subject that is so divisive amongst our theology. I hope the below info helps a bit as I am no scholar and prefer to often just read the thoughts about stuff all the beautiful brothers and sisters write on here. I pray this helps and brings us together as followers in Christ. Apologies up front for my errors that I am sure I made in haste. First Christ is speaking to the Jews in Mathew 24, Mark 13 and Luke 21 primarily within the context here (not completely but like everything in the Bible of His word it’s layered). Anytime “Son of Man” comes up, it portends to the description of the Messiah the Jews are accustomed to. (Son of God is for the gentiles). Second Mathew 24, Mark 13, and Luke 21 are writing about the events of the tribulation truly, but the context is at first about what to do in Israel/Jerusalem as such calamity occurs. (Look at Mathew 24:16, Mark 13:14, and Luke 21:20-21 for example, it says so). Sticking with context also Jesus is answering the disciples questions before He ascended, and the disciples are asking about the Old Testament Messiah (whom they are believing Christ is) to come back in full glory and conquer. With Roman oppression and Jewish expectation, Peter, James, John and Andrew ask Jesus about the Temple (which was adorned well) and of the Messiah setting up the kingdom thru it. They wanted a sign. And Jesus told them about the sign of when he comes back to gather his “elect” and what to look for. Not what they expected as it seemed to them to be happening soon since they had no idea that the Messiah would "be delayed" and must first be the cornerstone rejected. Also the Holy Spirit indwelling of believers was incomprehensible to the Jews at the time. Now as for the the elect at the time of the end of the tribulation, they are the remaining ones on earth at the end of the 7 year tribulation. The time of the Gentiles is to end here (Luke 21:24). And all those whom believe on the Lord and rejected the mark of the beast are the ones that will be gathered together at the Coming of the Lord in the clouds (Mathew 24:30 where the unbelievers see the Son of Man coming with power and great glory and mourn, not to be mistaken for 1 Thessalonians 4:17-18 where the Lord is up in the air to be met when we (the Church) are caught up (raptured) and we are to be forever with him and to comfort one another. Stark contrast. And why would the first 3 books of the New Testament be speaking about events that affect the Jewish Nation at times? Well I believe because the Jews will be looking at those books after the Church is Raptured and it is to give answers to them to start to look at the error about Christ they made and to redeem themselves unto the Lord G*D, which is what so much of the Bible is about. Lastly, (of course there is so very much more about the rapture happening pre-trib) the time of the gentiles ends at the end of the tribulation, the Church already called home (glorious hope), so the Jews must endure the 7 years to be turned back to G*D as he promised. We (the Church, the mystery) are best gone for the Lords sovereign plan to be in effect so that it can be all about His beloved people He promised to redeem, the Jews. The end of the age of grace must happen with the exit of the Church. The Jews must be turned back. And the age of the gentiles ends at the end of the tribulation when all unbelievers are taking away (to wait for the judgement) and then all that is left is the remaining elect that haven’t been killed in Christ’s name at the end of the tribulation to be gathered together for the celebration of Christ’s return in the clouds and His coming down to Jerusalem to set up the 1000 year reign of a new age (no grace needed as Jesus is on his throne for all to see). I always feel that when the questions of timing with the rapture come up it is at the expense of understanding the sovereign plan for the Jews, and a less than complete study of the Old Testament. Plus it is not just the Church that is referred to as the Elect. Its all of G*Ds chosen children (Deuteronomy7:6, John 15:16 and Ephesians 1:4) I truly hope this helps a little bit. And finally there are more than a couple "raptures, taking aways" that confuse people. The Elijah and Enoch OT ones, the Churches, and the unbelievers refered to in Mathew 24 and such. I hope my writing is understood and of some help for the body of believers and as always I will be praying for you and this website. Thanks be to God! And thanks to you Gary for taking the time here and elsewhere. You're very welcome! This was quite an undertaking... questions of Revelation chronology and details have been nagging at me for awhile now and I thought I'd finally put pen to paper. Gary - this was absolutely beautiful and it was a PILE of last-days encouragement for me. As I was reading, I thought of all of the readers that would perhaps latch on to one or two points that they disagree with, and miss the absolute beauty of the words that you put together. I'm blown away by this, and will probably be reading it again. I don't have any desire to dissect this for eschatological disputes, it's much too beautiful to do that, and I don't think you meant it as a dissertation, but instead the beautiful story that it is. Thank you so much. Amazing! What a God we serve! Thank you so much Brother. Your words are very encouraging to me and I appreciate your point about dissection—I will admit right now that there are some points above that I may reconsider as I continue to research. Gary dear brother, TY very much for this elaborate and vivid description of the days to come, transliterating Johns vision/s into today's language and imagination of things and events. Perhaps though, you could have stressed the fact that not only "millions of US American believers" are gone - whereas I personally don't really think there are THAT much as most of them are unfortunately betraying themselves about their faith into false 'decisional regeneration' and 'prosperity gospel', so there's in fact nothing to be proud of regarding America being a real spiritual light to the world - but BILLIONS OF BABIES AND TODDLERS / CHILDREN UP TO APP. 5-7 YRS AGE AS WELL AS ALL MENTALLY HANDICAPPED AND "BABES" IN CHRIST ARE MISSING ALL AROUND THE GLOBE: Can you imagine THAT and how the consequences might be?? Did you already fathom a scenario like this, not only some vanishing local MH370 flight desaster but LITTLE ONES MISSING WORLDWIDE, IN JUST EVERY FAMILY AND COMMUNITY ON EARTH WITHOUT ANY TRACE OR CORPSES TO BE FOUND? Can you imagine how not only all political conflicts and competition will be instantly set aside to this but also causing a complete breakdown of economy because the adults left behind will not anymore be able going to work and do their daily duties from this neverending nightmare of MOURNING and GRIEF: for anybody if Hamas or Israel, if "good guy" or terrorist, if innocent or ruthless? I have hoped to find some of these just practical consequences in your article but perhaps you still can update it to make the ABSOLUTE HORROR of the post-rapture scenario yet more fathomable. NOTHING, just NOTHING AT ALL will be going on just like normal by then - especially not politics and economy! If you have a look what happened in both events the a) transfiguration of Jesus Christ in Matthew 17:2 regarding the "change" of the living according to 1 Corinthians 15:52 and the b) 'angel or the LORD' apparition of Matthew 28:2-4 (as I personally think this was Jesus himself if you compare the "lightning" to the description in Revelation 1:14-17 and to Matthew 24:27) as far as the resurrection of the dead is concerned you may get a better picture what might be happening in the physical-electrical realm. You already talked of huge soundwaves regarding the trumpet call sound at the "last day / trumpet" resurrection but you should not forget about the EM waves concerning the physical change of dead and living matter of every single atom in the bodies of the saints. Just a few thoughts to still get more "meat" into this vivid and quite realistic picture of the event of resurrection / rapture itself. There is a reason for sure why especially the American people are so much trained for national blackout and prepping for disaster scenarios beforehand. I assume the US nation to be one of the main protagonists ever involved into "alien (angels) contact" and technology, therefore the predictive programming and prepping as well. The enemy is informed of course and provides with this information on all those in earthly governments who want to reign with him Matthew 4:9 -- More could certainly be said about the whole seals/trumpets/vials chronology as some descriptions are for the whole span of 7 years, some for the first half and some focusing more the last 3,5 years IMO but these are my main points to perhaps bear in mind for this very moment and shortly after. Much blessings to you, MARANATHA! "Other countries with large evangelical populations in Latin America, Sub-Saharan Africa, Europe, and Oceania are also in disarray." I cannot wait to read all of the above, I started skimming, but unfortunately I do need to get some work done first, but wanted to relay a strange ‘feeling’ I had upon waking this morning. I woke to the sound of birds singing this morning, as usual, but something on my spirit in my still groggy state said that had the rapture happened, I would not hear that...which snapped me awake and got me thinking about the animals during the rapture....and just like there were some animals on the ark during the flood, perhaps some animals could be raptured as well??? Perhaps those of believers, or all young animals...certainly not all animals as we see there will be some here as referenced in scripture. But this could also be a way to fuel famine and cause further confusion and suffering during the trib period. Thank you so much, Gary. I pick up on your humbleness and passion in writing this and again say thank you for your hard work and dedication to writing on the rapture and tribulation. J- and to you as well dear. Thank you. Maranatha brothers and sisters! I cannot help but think of all of this in terms of a blockbuster movie. The story is finished. Production is complete. We have seen the movie trailer of His prophecy. It has left us with questions. Show time has come, our admission paid, our ticket taken, a seat has been saved and the lights have dimmed as the show has already begun. Please make sure your phones are on mute and enjoy the story to come. I can expect to learn something from my Father! Given that we are made by G-D in His image we are, I believe, pre-disposed to want to know Him. To want to know His mind, His thoughts, His story all for the simple reason that we are part of His story. G-D given curiosity compels us. Christ redeems us! I pray that the work of your hands, and the collective work of us all in this space, strikes a chord in the hearts and minds of those yet to know our LORD and turn their heart and mind Heavenward to ask the question, "G-d, are you really there?" Hooray! Glad you got it. Using all the proceeds for ministry costs (which are growing), so your purchase is much appreciated. Btw, one of our dear readers managed to get a copy of the book in the hands of the ECUMENICAL PATRIARCH OF CONSTANTINOPLE!!! Great article Gary. We see through a mirror dimly and any who insist "their" take is the only one to be considered is simply arrogant and foolish. I know you are not in that camp & I so appreciate that. Two things which I'd like to have everyone consider a bit. First,I do believe the Seals were released just after the Ascension at Pentecost. That being said, another possibility came to mind today. My study tells me the first 5 seals were opened early on - are continuing and escalating at and during the Tribulation. For the first time in reading this synopsis I considered them as ongoing shadows of what we are about to see - the Full Blown Counterfeit Holy Spirit (Seal 1), etc. That pulls the pressure off Trumpets being packed in with Seals because they're are overlaying the ramped up seal activity. Just a thought to ponder. "Secondly, I am sensing a very different response in the Watchmen community to this latest urgency we are all feeling. I'll try and describe as best I can and am interested if others have the same sense. There's less of a "giddy" feel, more a settled excitement, but with an awareness of the absolute devastation awaiting the world we leave behind. It feels far more solemn and far more "imminent" than I've ever sensed before." I'll second that feeling! The last week especially. I don't even have an exact date in mind (though 6/23, 6/30, and September all look very promising), but I've had a sudden and growing sense that this is it. Everything is about to change. >> Yes, me as well (I truly feel I am the one and only believer in the enture DC Metro area watching all these signs and sensing the end). 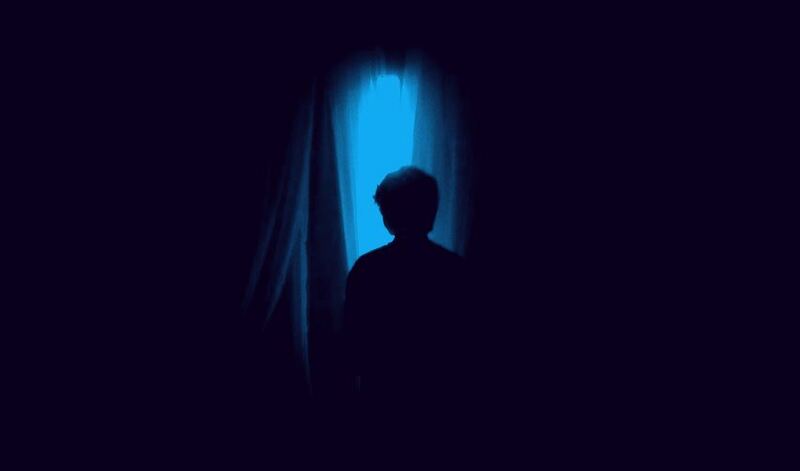 Today, it is a confident and expectant waiting, knowing the shout is about to happen. But also, I have the downcast feeling as I watch people go to and fro, they have no idea of what is about to happen, even with so many disasters in 2017 and now in 2018! Purposeful ignorance or innocent (i.e. blinded by G-d)? Wow! I applaud the time and effort that went into your article. Thank you for being a blessing to all of us here who read UNSEALED and linked sites. Just to clarify one point though: ALL the children of the world, including those still in the womb, will be taken at the time of the Rapture, NOT just those of Christian parents. It's the ONE thing - their disappearance that I believe will have the most significant and unexplainable impact on the world as a whole. Doing away with the do-gooder Christians, Hurray! Mini black holes, aliens, or whatever - the world will see itself well rid of us. BUT, what about the children?!? ALL OF THEM. Every single one. The world will be crying out in grief for their loss. Their disappearance at the time of the Rapture is, let's hope and pray. going to be THE wake-up call for many as to what REALLY happened. Blessings! Based on some OT passages and Corinthians, I think that at a very bare minimum children of believers go. Probably all young children. Jenny, I also believe that this is consistent with Our Abba's Nature. However, for such a huge detail to be seemingly missing from the Word? That seems noteworthy and I have to ask, why? Is it there but hidden? That audience, by definition, not whom Abba is speaking to so leave that detail out? Pearls before swine, as it were? Maranatha! The yet unborn children will stay in the womb like normal. Either way if they survive tribulation period or not, they will be not older than 7 years at the end to enter the kingdom on earth or to be in Heaven before. I don't know that all the children will go. God didn't save all the children during the flood. In fact, He saved none. That doesn't mean that when they die they don't still go to heaven as I believe is obvious from the Scripture passage when King David is mourning the loss of his son, saying he would go to him someday. That is different than when he mourned for Absalom, for whom he mourned knowing he would not see him again. Matthew 18:3-14 speaks to children being saved, and mostly 18:14, "So it is not the will of your Father who is in heaven that one of these little ones perish." But it is not evident to me that they will go up in the rapture. Those with one believing parent I think will be raptured based on 1 Corinthians 7:14. We need to trust God that He knows best, and even with the children, He knows what He's doing. All the cities of people killed by the Israelites in the Old Testament had many children and babies killed. It seems awful, but I believe it was God's mercy on them, because if they didn't die as babies and be brought to heaven then, they would have grown up and followed in the ways of their evil parents. Because they weren't old enough to choose right, I believe the future blood of Jesus covered them. Yes! We can read between the lines knowing Abba's Nature. That will fill in the blanks as we grow into His Mercy, Compassion and Judgement Calls. I too believe all children.. God wouldn't leave ones who were not able to make a salvation decision yet. Hello brothers and sisters, while watching intensely since last March and specifically following the Rev 12:1-2 sign and where we are today, my spirit tells me this (June) is the "end" of the Church Age, time is up, we are in "extra time" as Greg puts it and things are about to change, drastically. Whether the chronology penned here by Gary is really on par or close, we'll just have to see/watch from the balcony seats up above the firmament. I certainly think from my research and studies Gary puts forward an awesome and well supported timeline. Regarding the many prophecies to be finally fulfilled (ex. Psa 83, Ezekiel 38-39, Damascus, Elam (NW Iran), Isaiah, Hosea, Joel, Ezra etc...), "time" will tell. Yes, outer earth bodies (I do not believe in planets or the solar system or "unlimited universe") are coming, such as Planet-X (the Destroyer in Jeremiah and OT) and inbound meteors/asteroids. In addition, I certainly agree/ believe the fallen will be thrown down from the heavenly realm and will be spit up from the earth (reason for these volcanoes now perhaps?). We are in an eerily peace yet things are happening, have been happening, and more to come.... Just when the Lord's Voice Calls us up....is....moments away. Day count here: 271 days (a woman's gestation period) from Rev 12:1-2 is.... June 21st. G-d is orderly and a whiz at math and has presented everything in the Bible (thanks to Unsealed and all yall for helping reveal it, well, thank the Holy Spirit for unveiling it to us in these waning moments). Blessings, see yall soon! Like the time is nigh! The Pearl parable means a June pearl. A PIN-POINT: A thought pop'd into my mind concerning June 21st. This is a HIGH WATCH day for me and this just came to mind. Best article yet Gary....I've shared it with a ton of people so far.. Per (Exodus 30:14; Leviticus 27:3; Numbers 1:2, 3; 14:28-32; 32:11) it may be argued that one is a man at age 20. Jewish tradition per Talmud holds that one is accountable for their own sins around age 13. This is a common age to celebrate the bar mitzvah (or bat mitzvah). As Christians we know that our relationship with G-d is based upon our faith in Jesus Christ. When are we held accountable for that faith? Only G-d knows. More importantly, when do we as fathers start teaching our children about G-d? When do we show them the LORD? My answer to that question was before they were born. (Psalm 78:1-8 ESV) is stand-out to me in this regard. A common scriptural pin-point of the standing of children in the eyes of G-d is seen when Jesus called the children to Him and declared them as the greatest in the kingdom of heaven. (Matthew 18:1-4, 19:14 ESV) These are two pin-points where which suggest that children are saved. King David gives strong testimony of the fate of children heavenward. G-d knows there is a point at which we become accountable for our beliefs, faith and values. I do not know when that is. I don't really know when that was for me personally. I believe that my wife and I have five more children waiting for us in heaven. We conceived eight times but lost five in the first trimester. Three of our sons joined us here on earth. I have every reason to believe that my other children are waiting for us with the LORD Jesus in heaven right now. I for one cannot wait to meet them! Fathers, when in doubt, pray about these things and bring your concerns before the LORD. Seek His peace in these matters and be the BEST father you can be. As a dad you are G-d's fatherly representative here on earth. Pray for wisdom, intercede for your family and always be ready to be held accountable for their sake. Lead courageously and fearlessly in truth and spirit out of faith, hope and love. That is beautifully written Pastor Rich. I'm saving your last paragraph and last sentence to read daily. God Bless. Hi Bill, I believe the Bible indicates and/ or Jewish Law indicates the Age of Reason to be 12. I have also heard/read it is all the way up to 21. G-d knows but let's agree a toddler and 12moyo are innocent. Isaiah 7:15-16 talks about this age but it is individual. In 2 Kings 2:23-24 there were "little children" from Bethel (i.e. coming from the house of God!) being so much wicked that Elisha cursed them. "G-d is orderly and a whiz at math" Truly brilliant. Remind me to use this in my next Theo 101, Maranatha! While children are not specifically mentioned as being spared from the Tribulation, there are quite a few scriptures that address salvation based on a knowing choice (Luke, 1 Thessalonians, et al). We choose. Also, consider, that ALL children, not just those of Christian parents, who die before the age of accountability, go to be with the Lord. And... saying only children of Christian parents go in the Rapture muddles things a LOT. God is also "orderly". Not all children with Christian parents become Christians themselves, or vice versa. What if only one parent is saved? What then? Nope. We do know God's character. He's revealed Himself to us through His Word and I for one am very grateful to have sites such as this and others (Grace Thru Faith, Rapture Ready)) to expound on God's word and help it to make sense to those of us not blessed with such insight. We also know what the Tribulation is about - ISRAEL. The Tribulation period is all about making an INFORMED choice. People will know. Gary and others have said that God is SCREAMING at us to get out attention. That screaming will be a whisper compared to what's going to happen during the Tribulation. Yes, many will be deceived, but they do not have to be. People are lazy or willfully ignorant because it (sin) suits them to do so. I apologize for digressing somewhat.. There are soooo many things I want to know. But the kids, I know about them. They're going to be with Jesus. I believe he's referring to the verse in Psalms I'm not sure where but it says the children of the righteous will be saved, to paraphrase. I have some specific thoughts about children. It's clear to me that everybody inherits the signature from their parents. Children inherit sin from the very moment of conception. You look at a young child let's say 1 2 year old you can see the sin nature coming out in that child. I believe that even a young child like that is sinning even though they don't know it, but here's the kicker even though we all inherit sin as it's passed down from generation to generation none of us inherit guilt it is impossible to inherit guilt so a child, even though he may sin, cannot be held responsible for his sin. A child must reach the age of accountability which only God knows in each individual. The age of accountability is the point where the child is capable of understanding right or wrong and capable of willfully sinning against God. At that point in the child's life he has reached the age of accountability and is guilty of willfully sinning against God and therefore will be held accountable for his sin therefore he is now in need of a savior. I believe before the age of accountability before a child understands right and wrong and willfully sins against God even though there is sin in his life there is no guilt of sin and if there is no guilt there is yet no need for a saviours intervention. What about the 7 thunders in Rev 10:4? Any speculation on them? I have definitely wondered about the seven thunders, but they are still sealed to this day. I suspect God may reveal their meaning to Israel and/or the Tribulation Saints after we're gone. In terms of the overall narrative, we can't definitively place them because they aren't directly connected to any seal or trumpet. 1. They revealed information that at the time would have given God's enemies too much information about His plans. 2. The judgments contained therein were to terrible or impossible to describe (at the time). 3. Their revelation was intended for a very specific, future purpose not yet revealed. All I can say is WOW! The picture above of Jesus is almost identical to what I was shown in a dream I had about the Rapture a few years ago. In my dream when I heard "Come Up Hither" I ran outside and looked up and the whole sky was just filled with Jesus! I then woke up in a cold sweat and very disappointed it was only a dream! God Bless each and everyone of you and I'm looking forward to our joyous eternity. Based on the rapture view you presented, especially in regards to your references of Revelation 12:5 and 2Thessalonians 2:6-7, it seems like you are declaring that the church, which is the body of Christ, is caught up to be united with Jesus who is the head before the 7-year tribulation AND that the Holy Spirit will be removed from the earth at that time too. If that is the case, you are purporting that the people who are Christians during the tribulation (those you refer to as tribulation saints) are not part of the body of Christ and that they came to faith and salvation without the Holy Spirit. If that is so, those claims are not supported by the word of God, and are in fact contrary to it. There is only one body of Christ and all true believers are members in that one body. How can believers whom you claim are not raptured when the body is raptured, not be of that same body? Colossians 1:24 clearly connects the church with the body. 1 Corinthians 12:4-31 states we are one body with many parts and we all share a common bond with all others in Christ. 1 Corinthians 12:25-26 specifically notes that there should be no division in the body and that if one part suffers, every part suffers. That means if parts of our body are suffering in the 7 year tribulation, we should be suffering with them! Why would the body be divided and why would parts be rejoicing in heaven while other parts are suffering? The Holy Spirit is present in all believers. That is a doctrine of our faith. Romans 8:9 states that anyone who does not have the spirit of Christ DOES NOT belong to him. How then can people who are left on earth after this supposed pretribulation rapture be expected to belong to Christ without the Holy Spirit? How could they be called saints? How could they resist the mark of the beast and be martyred for Christ if the Holy Spirit is not present on earth? John 3:5 says that except a man be born of water and spirit, he cannot enter into the kingdom of God. 1 Corinthians 12:3 says that no man can say that Jesus is the Lord BUT BY the Holy Spirit. Therefore, in order for someone to come to faith and salvation in Jesus and in order for them to enter into the kingdom of God, they must have the Holy Spirit; without Him, they do not belong to Christ. Tracy, in fact the people of God are from different dispensations from the very first man (Adam and Eve) on, from which the church is a large but "only" one specific part / group of. The so called 'tribulation saints' from Revelation 14:6-12 are in fact NOT the church nor are they sealed by the Holy Spirit but by ANGELS as you can read there. They will also hear and respond to a complete different message than today's gospel of Christ. Blessings to you! Sherry and Annabel - what you just posted is surprising and new to me. I am just curious, is this what all pre-tribbers believe? I did read Hillary's post, but as you probably know, I interpret 2Thessalonians 2 very differently. I am glad however that she doesn't say that the Holy Spirit just up and leaves during the the 7 years. God promised that He will be with us until the end of the age. I know the two of us have touched on this before on a previous post and I don't want to ruffle any more feathers; however, I would like the opportunity to at least express my thoughts about the mention of this "other" gospel that is supposedly taught in the tribulation period. IMO, I have a hard time seeing how worshipping the AC and taking his mark of allegiance is anything significantly different from defiance against the 1st Commandment. Deuteronomy 5:6-7 says, "You shall have no other gods before me." While we may not technically be under the law, worshipping another god, especially one who is empowered by Satan himself doesn't seem contradictory to our gospel and Jesus' command that we are to love God with all our heart, soul, and mind. If the book of Revelation is God breathed (which we both know it is), and we have access to those words now (which we do), then everything in that book is for us to know and understand. In fact, the book of Revelation is the only book that says we are blessed for reading and understanding it Revelation 1:3. We can't say there will be a time when a different gospel will be spread. The words of our bible are our gospel...from Genesis to Revelation, it all connects the same message which points us to our one and only Savior Jesus Christ. I know we are all searching and seeking the truth as we joyfully anticipate the return of our Lord and Savior Jesus Christ. And that nobody has all the answers or truth. But as time presses on, things will become clearer and clearer. With both a pre and post trib rapture scenario explained to all, perhaps people can be comforted to know that as things play out, God is always in control and we have nothing to fear. Tracy...Your words just struck heart chords. Very well,lovingingly, and correctly stated. I beg to differ once anyone takes that mark during the tribulation their fate is SEALED - FOREVER . HUGE difference. Donna - I 100% agree with you on that point. In fact, I actually believe that if you take the mark of the beast you are committing blasphemy against the Holy Spirit, which is the unforgiveable sin. Most definitely, your fate is sealed forever if you take the mark of the beast. The point I was trying to make (and maybe I didn't do that so well) is that the command not to take the mark does not fit outside the parameters of our current gospel and Jesus' commands for us. We are not to worship anything or anyone outside of the one and only true God. And since I do think it would be blasphemy against the Holy Spirit to take the mark and worship the beast, I believe this is more reason to indicate that there is not any "other gospel" that supposedly exists in the last 7 years. I hope that clears up what I was trying to communicate. Tracy, perhaps it might help to follow a few of STEVE QUAYLE Interviews on YouTube and on COAST TO COAST RADIO regarding #Transhumanism# and the #fallen angels DNA altering agenda# to get a better picture of what the 'eternal gospel' of Rev14 is in fact about and why the topic of CREATOR AND JUDGE rather than Saviour and grace is relevant here. These people taking the mark will after all NOT BE ANYMORE HUMAN so that their souls cannot be redeemed! I have had a long list of comments stating why Israel is NOT the elect, but only those Jews or gentiles that follow Christ are. I have irrefutable scriptural bullet points showing that Israel is NOT the elect that Christ is talking to in the Olivet Discourse. This totally undermined my decades of pretrib beliefs. I will start with bullet point #1 of over 40 that I have compiled randomly out of my personal bible study more. Romans 11:7.."What then? Israel hath not obtained that which he seeketh for; but the ELECTION hath obtained it, and the rest were blinded." How can the "election" ..or "the elect" be Israel in light of this verse? The term "elect" is used in the New Testament to denote only those which are saved. Believe me, these bullet points get individually more convincing , and collectively have convince me we are post t rib without a doubt. May the love of Christ allow this discussion to continue. I have remained silent far too long. Paul might beg to differ in Romans 11:28-29, but even if they are not elect YET, it makes no difference. The Matthew 24 gathering spoken of is AFTER the Tribulation, when they do have faith in Christ and will be saved (both post-rapture Jew and Gentile believers). Greetings and blessings brother and sister. Here is a quick nugget from the late Grant Jeffery (everything below are his written words) concerning the Resurrection of the Body (i.e., FirstFruits). (Part 1 of 2): The Bible clearly teaches that there is life after death. Our bodies will undergo a transformation and a transition to prepare us for eternity. The biddy will die, but the soul and spirit will live on. All people (saved & unsaved) will rise again after death. However, since the Bible describes two different resurrections, there is a great difference between the destiny of these two groups. The first resurrection leads to life whereas the second brings about spiritual death (see John 5:28 and Revelation 20:6). The first resurrection involves all those who repent of their sin and accept the pardon of God. the Bible uses the word "FirstFruits" to describe this first resurrection. In Israel, the Feast of FirstFruits happens in the Spring each year to celebrate the first gathering of the harvest. As the Jews brought tokens of the coming harvest to God, they acknowledge he (Elohim) is the provider (Jehovah Jira). In the NT, however, the word "FirstFruits" was initially applied to Jesus Christ, who became the "first fruits of them that slept" (1 Cor 15:20). This term was thereafter applied to the resurrected saints as a token of the great harvest when Jesus, the Lord of the harvest, will come to gather the saints to meet Him in the air (see 1 Cor 15:23; 1 These 4: 14-17; Rev 14:4). These raptured believers will be the "FirstFruits" of the first resurrection, "the resurrection of life" (John 5:29). @ Charlie in DC - Thank you for your response, but I would contest that the word redeemed is very different from the word resurrected. The 144,000 are the firstfruits of the redeemed on earth, not the firstfruits of the resurrection (Revelation 14:3-4). Jesus is the firstfruits of those who have fallen asleep. For since death came through a man, the resurrection of the dead comes also through a man. For as in Adam all die, so in Christ all will be made alive. But each in his own turn: Christ the firstfruits; then when he comes, those who belong to him. 1 Corinthians 15:20-23. The issue is not as to when, if, or what one's intentions are concerning the Rapture. The issue is how does the Gospel proclaim our Salvation? It is through Grace, Faith, and the blood of Jesus. That is the issue. Perhaps a settling of that gift in one's heart will clarify many things. Which is not to squelch discussion or discourage a genuine desire to alleviate suffering. Which is coming. On a scale nearly unimaginable. There is very little preparing that can be done physically. What remains is a need by some for, a reliance on works. And not Jesus. "I must endure", "I must evangelize", "I must lead", "I must suffer". No. JESUS has done the work. He made the sacrifice. A ransom for many. All glory goes to Him. I'll second ALL that was said above from Gary, Charlie in DC , Sherry , Annabel & Christopher. Thanks Gary for taking time to put all that together. Hopefully it might help a new convert when we are gone to make some sense of what's going on and what's about to take place. It is not that someone must do those things in order to be saved. You are absolutely correct, Jesus has done all the work and it is through our faith in his grace, mercy, and sacrifice that we are saved. The real distinction I see is that some people believe or recognize that there will be a coming time when we will be called upon to testify, bear witness, endure, and suffer for his name under severe tribulation. It is not that we must do these things, but that we can do these things for the Lord. By spiritually, mentally, and emotionally preparing for a time such as this, I grow closer to God and my trust and faith in Him grows stronger. I can leave a place of fear and needless worry behind because I know that no matter what, my soul will be protected and saved. If I didn't take time to consider this possibility and how I may react, or, if I was completely taken off guard by something other than a pre-tribulation rapture, I would probably respond to a time like the great tribulation in a far less pleasing way to the Lord. 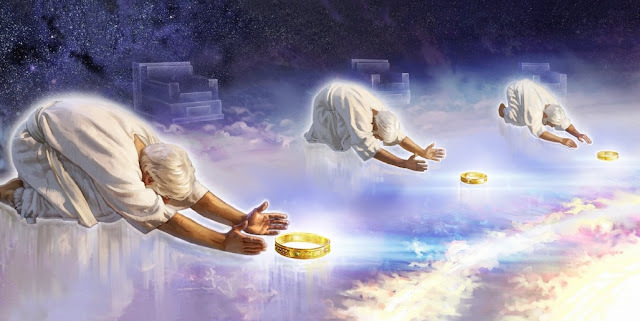 While I do know that the Holy Spirit will be poured out in the last days and believers will do incredible things for Gid by their testimony of Jesus and the word of God regardless of their stance on pre-, mid, or post tribulation, I also believe God spoke a lot about these last days and the things to expect throughout the OT and NT for an important reason. I believe that reason goes beyond just a promise or blessing that we could escape such a time like this. The Bible account of Peter walking on water comes to mind. We may think we have all the faith in the world to endure whatever comes our way...but perhaps there is a powerful wave, a looming storm on the horizon that makes us doubt even for a moment, and we take our eyes off of Jesus. I don't want to sink and I don't want my fellow brothers and sisters in Christ to either, even if it is just a temporary moment for most of us. Let us comfort one another that through our faith, hope, and salvation in Jesus, we will endure no matter what tribulations come our way because of his mercy and grace. It simply boils down to whom are the "elect". Pretrib says the elect are Israel. Posttrib says all that believe in Christ are the elect. These two views then dynamically alter Matthew 24, and also Mark 13 and Luke 21...the last two mostly to a gentile audience. There are 16 mentions of the term "elect" in the bible...there may be more, but I am not aware of any others. Out of these 16 times...10 refer to believers in general, 2 are believers that are gentiles, 1 refers to believers that are news. 2 are Jesus Christ himself, and 1 refers to the person Jacob who was a believer. I will start with the very first mention of "elect" mentioned in Matthew 24:22.."And except those days be shortened, there should be no flesh saved: but for the Elects sake those days shall be shortened. Verse 24 says.."For their shall arise false Christ's, and false prophets, and shall show great signs and wonders, inasmuch that,IF IT WERE POSSIBLE, they will deceive the very ELECT. By Christ saying " if it were possible" that makes it clear to me it is not possible. The word "elect " here in Matthew 24 can not be referring to the Jewish people or Israel, since they are the most deceived people in the world. I would like to go on and talk about the other 15 mentions of the elect and the picture starts becoming very clear to me that the elect are believers in Christ, if they be Jew or gentile. Elect is elect, it's always referring to ALL people of God but then you should just recognize the use of the word in CONTEXT. Just that simple. Excellent article Gary. Though we may disagree on some major points, one of your comments on prophecy rings extremely true: "the primary purpose of prophecy is not to allow us now to predict every future detail, but to strengthen the faith of those who see prophecy fulfilled in real time". Lord - strengthen our faith as we see your word being fulfilled!!!! I find it interesting that there will be another eclipse that will split the US through little Egypt USA (Cairo, Il.) 7 years after this previous eclipse in 2017. Perhaps the child will be caught up 7 years after the September 2017 sign? This speculation may be fun but isn't profitable. I disagree concerning the Abomination that makes desolate, he has come and gone. Rome is the new Abomination that is causing desolations around the world, the Vatican through the Pope and his jesuit army. All roads lead to Rome and Rome is going to lead the world in trade and through trade run and rule the world. They will become the bottleneck, the middle man everyone will have to go through and by them everyone will be subject. Check out Israeli News Live concerning the Vatican, it is very different from what we've been taught and told by previous teachers and opinions and doctrines of men. Perhaps our foundations are by doctrines of men and our understanding needs broadened. Maranatha brethren, stand firm in the Faith and pray for all the brethren. 70 and 77 are very prophetic numbers, important to God so I do believe the tribulation starts this year 2018 (Israel's 70th birthday) and ends (7 years later) in 2025. Any other set of numbers leading up to 100 don't think would work. These numbers are too prophetic, too important, well fitting -to not to be used by God. Our God is a total math whiz, just look at what the watchmen alone have encountered just in last few months from searching and researching the bible. God is awesome! Marantha! Christ beginning his ministry, started the last week of the 70 weeks prophecy. Christ was cut off 3 and half years into the last week. Christ is the one mentioned in Daniel 9:27. Christ ended the sacrifice and offerings buy dieing on the cross. Christ was cut off because of the Jewish unbelief. This leaves 3 and half years to reach the 490th year and make and end of sins and anoint the Most Holy. Since Christ crucifixion till now we have been living in the middle of the week. Once the church is removed. Tribulation will be for 3 and half years or 42 months or 1260 days. No where in the bible does it state the antichrist will have any authority on earth for more than 3 and half years. Daniel 9 is the only place in the bible that people get this 7 year trib concept from. Wow! As horrific this whole thing is in scope... it's awesome to see this timeline put together in layman's terms so to speak and to get a visual. I understand it better now than ever.